Clarins Body Lift Cellulite Smoother (A$90/200ml) launched recently and it is the first Clarins contouring care product to launch. Clarins Body Lift Cellulite Smoother is a dual action treatment which helps to reduce existing stubborn cellulite/inhibit the formation of new cellulite and reinforce skin's firmness with contouring care. The Body Lift Cellulite Smoother 'destocks' the storage of fat to reduce the appearance of cellulite and also block the formation of premature cellulite. I have mild cellulite along my thighs which is just barely noticeable in certain angles and so, I never really thought about using creams to tighten and treat my jiggly thighs and smooth away cellulite until I was given the opportunity to trial one. 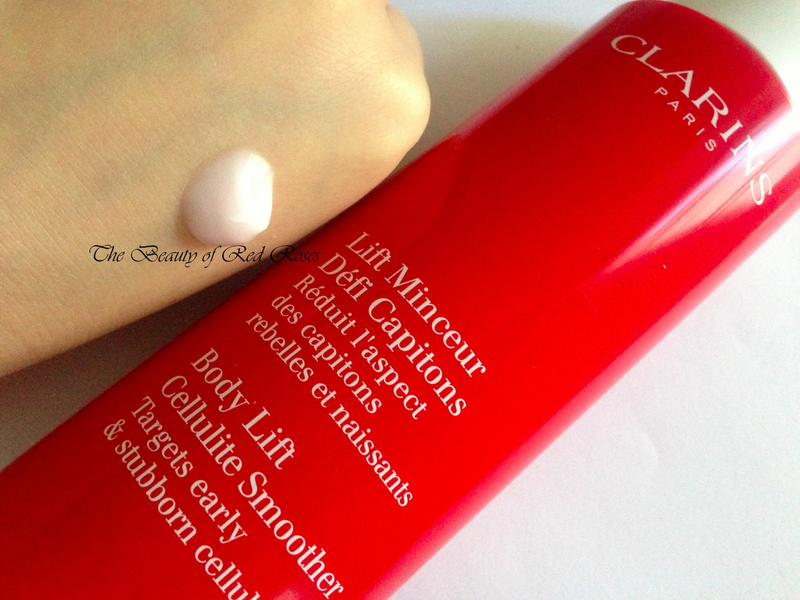 Clarins Body Lift Cellulite Smoother has actually launched at a good time so that I could treat my cellulite during winter and hope that my thighs will appear flawless by the time Spring/Summer arrives! The gel/cream is lightweight and absorbs fairly well given that massaging the gel into the skin is conducted properly. 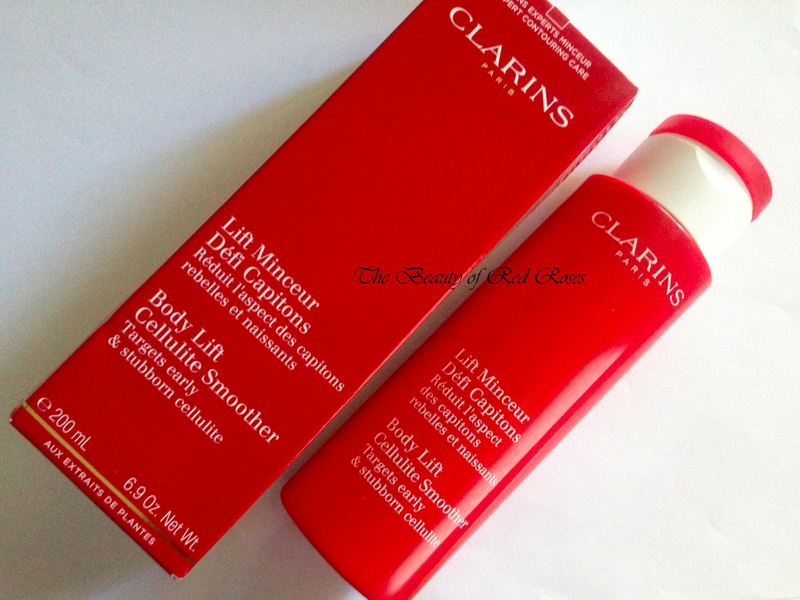 The Clarins Body Lift Cellulite Smoother was accompanied with a set of instructions showing how to apply the product using the Self-Massage Body Contouring Method. You need to apply pressure and massage the area in circular motions to encourage the elimination of excess lipids. The gel/cream acts like a 'tightening' veil to refine skin texture while redefine body contours, so taking a couple of minutes to massage the product is key. I found that the scent was quite unbearable, as there were strong notes of mint on a whole new level, though fortunately, the scent does dissipate within a few minutes. The formula consists of Aquatic Mint extract to encourage the synthesis of collagen and also Bachhairs extract to protect the breakdown of collagen. Other key ingredients include Sunflower Phospholipids, Hazelnut Oil and Glycerin to nourish and moisturise the skin. Following a pleasant cooling sensation, my skin felt nourished and well hydrated. 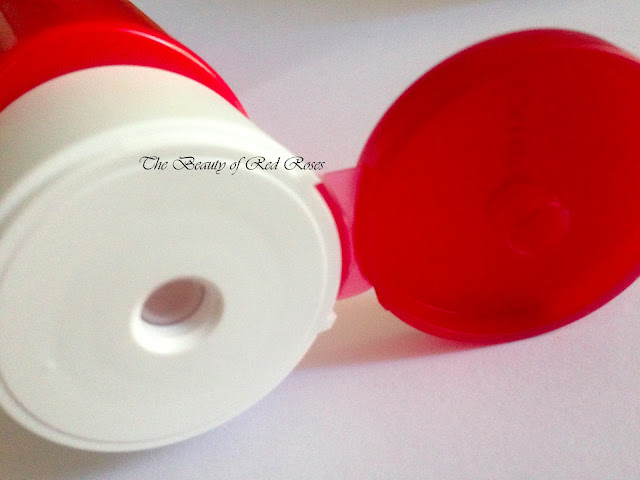 After about 8 weeks of using Clarins Body Lift Cellulite Smoother, my skin appears to be smoother and not entirely obvious as it once was, however, the appearance of cellulite did not completely disappear. 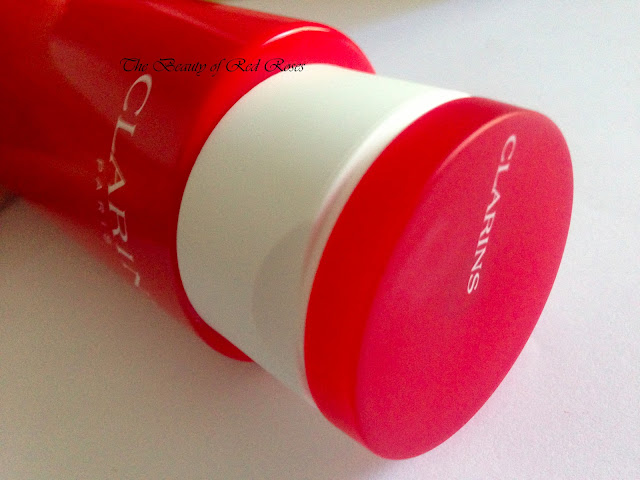 I sometimes get the feeling that cellulite will never ever disappear, so to notice the slightest difference before and after I began treating my cellulite using Clarins Body Lift Cellulite Smoother was a really great feeling! It does take time to see results, so you need to ensure that you can commit to applying the product properly every night. In addition to using creams and treatments to treat cellulite, having a balanced diet is one of the most important factors to maintaining a healthy body and smooth skin! Do you have cellulite? Which products do you use to minimise their appearance?